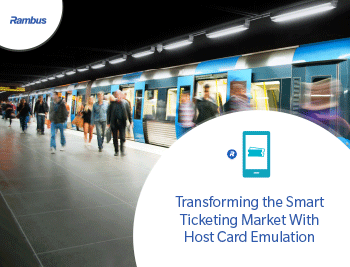 Powered by detailed smart ticketing data, the Rambus Data Warehouse provides comprehensive analysis of a centralized database of customer trends and travel patterns. The Rambus Data Warehouse unlocks the true value of the data generated by smart transport schemes. Instead of data being stored in separate databases with no ability to query it, the data is collected into a single, central database where trends in customer travel, patterns of purchase and usage can be viewed and analyzed through a wide array of intuitive dashboards and reports. The insights gained from the smart data enable operators to improve cost-effectiveness and operational efficiency by providing real-world knowledge of where peak demand starts and ends, where services are overused, and what demographics of customer are using different services. With this knowledge, operators can manage station traffic during periods of busy congestion by sending live updates to the customer’s phone, or incentivize riders to use alternative routes through promotional offers. Similarly, the data from the Rambus Data Warehouse can be used to market effectively to customers, targeting efforts for the maximum impact and enhancing customer experience. The Data Warehouse takes data from multiple disparate operational databases and passes it through an Extract, Transform and Load (ETL) routine that converts the operational data into a useful form for analysis and aggregation. This data is then loaded into an OLAP cube, a specialized form of database that is optimized for performing large volume aggregation queries efficiently. A reporting tool of your choice then allows you to view this data, slicing across the dimensions to efficiently analyze trends in depth and perform data discovery.